Time is money, especially in business. In this digital age, we have seen automation assisting us by freeing up our time to actually do more. JD Bates, creator of NoteProz and CEO of FiveSigma, takes us into the systems he has put in place for note investors to grow their business more. 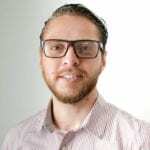 Acting as an all-in-one CRM, he shows how the service and platforms he made allow investors to manage and add assets and people on their team. 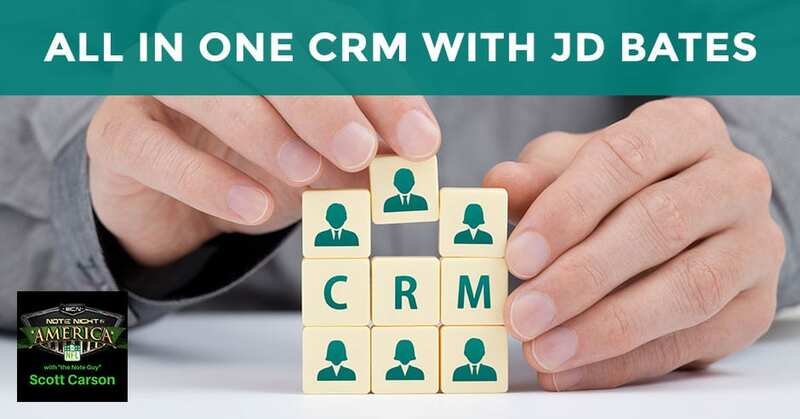 JD breaks down the features one by one from the dashboard to the admin section, showing how much automation can assist and make growing your business easier. I hope everybody’s rock and rolling along. I’m glad to have you all here on Note Night in America. Welcome back for the 2019 episodes. I’m excited. I’m jacked up. 2019 is off the rack. Where is the time flying? I don’t know about you, but I’ve been extremely slammed getting things rock and rolling. 2019 is going to be an amazing year for a lot of us. I’ve got some great topics now. Before we dive into the main content with our main guest. I want to go through a couple of things. For those joining us for the first time, welcome. We’re excited to have you here. Over 100 episodes in the last few years. We do webinars just about at least almost weekly since 2011. If it’s your first time, we’ve got note and real estate investors joining us here. We’ve got people interested in getting more information in what note investing is all about and the different aspects that go into it along with vendors and things like that. One of the big changes about 2019 is we’re going to start live streaming to the YouTube channels versus Facebook. You can always catch all the replays on WeCloseNotes.tv. It does not mean we will not share the video to Facebook afterwards, but we’re going to get a little bigger hit with sharing straight to YouTube than when we see on Facebook. Also, you can always listen to the Note Night in America webinars on iTunes as they are turned into a podcast. We have the Note Night in America podcast for you. Once again, we do have our big bread and butter, the Note Closer Show podcast. We celebrated going over 400 episodes. I’m pretty excited about that. Over 200,000 downloads. Thank you for everyone that reads the blogs. I love for you guys to review. Give us a five-star review and subscribe to the show as well. Lots of great content, interviews, guests, vendors, a whole variety of thing. I highly encourage you, if you get in a chance to watch the live feed of the Note Closers Show, we will keep those live on Facebook. We did a great interview with Ingrid and Keaton from Quest Trust company about some of the new things this 2019. I’m excited about some of the new increases to what you can deposit or contribute to your IRA accounts. I was excited about that. Plus, their schedule line up for the 2019 first quarter. That brings me to let you know what we have going on this 2019. A very busy first quarter of the year. Every year, year in, year out, we’re always busy. Our first workshop of the year is Friday, Saturday and Sunday after Valentines. I want you to fall in love with notes. It’s 15th, 16th and 17th at $699 if you’re interested for tickets. You can always get signed up for that. That is an online three-day event. We’ll be coming out to Tampa. Tampa Note Closers group is excited to launch. We’ll be coming out February 20th. The location to be decided. It will be in Tampa. I’m headed up to that neck of the woods for Podcasting Summit. I’m excited to be there but we’ll do one that Thursday night, the 20th, somewhere in Tampa. Following that next week, I’ll be in San Diego for the Traffic & Conversion Summit. We’ll have, the first time in a long time, at the San Diego Note Closer for people to meet in. I haven’t decided if it’d be the 27th or 28th. We’re still finalizing places for that event. If you are on the East Coast, the West Coast, Florida, Southern California, you’ve got a couple of opportunities to get together and network with other note investors and come and hang out and have a great time with us out there. Our next Fast Track Training, if you can make it, it’s March 15th to 17th. We have two spots left available for that here in Austin. That’s March 15th, 16th and 17th. Those spots are filling up fast. A lot of people were ready to get rock and rolling in the New Year. Those first couple spots filled up fast. I don’t have any other dates on the calendar as of yet. We’re still working on dates for our Note Mastermind event in April. It may fall in somewhere. It will be in Austin, Texas. It’s what we’re looking forward to being in. Steph is still working on that, to figure out the location when it’s going to be really near here the offices or a little further down South Austin. Lots of great events. I want to put a big bug out to you guys and I posted this briefly. We had a ton of people take advantage. We’ve got about fifteen spots left. I know that many of you want to have your story told and your big thing is, “I want to raise more capital this year,” or “I want to close more deals this year.” I would love to help get your story told if that’s possible. We’re launching the book called Loan Tales. We’re wanting to do it with 50 note investors in case studies. CRM: The more you can automate, the more assistance you have in place, and the more your business can grow. Each investor gets to tell their story about why they got into note investing, what they love so much about notes and then also a case study. Imagine being an asset manager and gaining a book and having 50 note investors right there to tip your hand as you have assets available. Who do you think you’re going to email those to? Email them strictly, those asset managers. Imagine the availability and the opportunity to raise capital off of investors reading that book as well. We’re pretty stoked about this book. We’re going to plan on marketing it everywhere. We’re not just talking here. We’re talking all our marketing across the board, to investors, IRAs, real estate clubs. Each author will have a special episode on the Note Closers Show. That’s valuable. Eric Hyde probably raised $300,000 from his own episode or more in 2018. We’ll send this out, the eBook and hard copy, to asset managers and to those that are part of it as well. It will be something that I’ll be sharing at REIA clubs, meetups and conventions across the country. We’re going to do a lot of marketing for you. It’s not free. It’s $599 but it’s a lot cheaper than anybody out there. That’s probably what it would cost you to hire a ghostwriter to review a chapter or two for you guys. We’ve got that. We’ve got fifteen chapters left. If you’ve been sitting on the sidelines, now’s the time to get in. We’d love to have all of them done and all the chapters finalized as far as who’s going to be in by the end of the month and then go into spending February to write the chapters. March for editing, getting photos, pictures, and the assets and things like that and then looking to have the thing launched by. I’d really love to have a launch party come to mastermind or especially how awesome would it be to have a launch party in August for the Quest Expo as well and a couple of other things. Definitely, if we could try to have it around, I don’t think it’s going to have about Paper Source, which is the first weekend of April. $599, fifteen chapters left. All you’ve got to do to get signed up is go to LoanTales.com, it’s $599, put your credit cards down. Somebody will be adding you to the private Facebook group for us to network back and forth with and be able to allow announcements back. If you don’t know the Facebook group, don’t worry about it, that’s fine. If you’ve got an asset, close on a deal, we’re looking for performing, nonperforming, loan mods, foreclosures. Any interesting case study you have or even vanilla one. If you have a vanilla one that you love and you love vanilla, that’s fine. I love to tell a tale about your note deal. If you’re interested go to LoanTales.com and we’ll be glad to get you in the book. 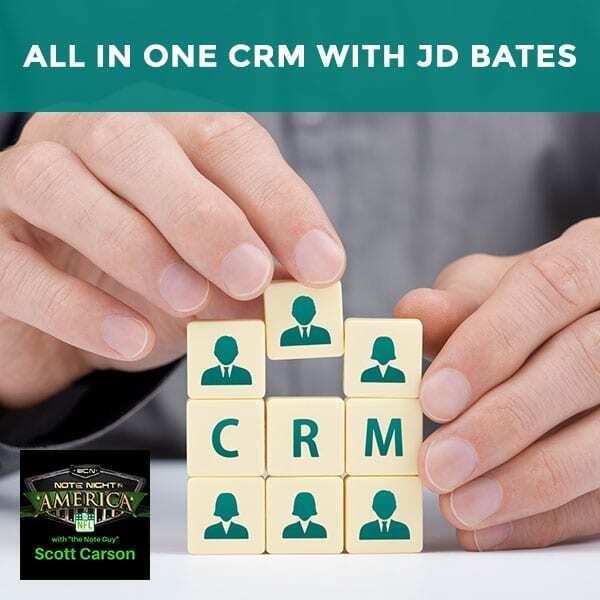 This episode is all about all-in-one CRM. One of the things that separates so many investors from going from one to twenty or twenty or greater, where they can do big things, closing on an honored assets, bringing in tenure and cashflow, working through a lot of performing notes, managing and working full-time, and something to enjoy along with note as a hobby and as a business is having systems in place and things that you can use to help manage your vendors and manage your investors. This is one thing that we use in partials. I know a lot of us are looking for things that they incorporate partial all the time. What was such a big Note CAMP 6, one of the biggest things, the biggest a-ha moments. I got people that were messaging me like, “Are you seeing what’s going on in room two?” I’m like, “No, because I’m in room one.” They’re like, “You’ve got to take a look at this.” We’re excited for our special guest. You’ve seen him previously on Note CAMP 5 and 6. You’ve seen him here before talking about NoteProz. He’s the creator of NoteProz. He’s in charge of something called FiveSigma. He’s our buddy, JD Bates. He has moved to Argentina from Costa Rica. We are honored to have JD on. Good. How’s everything going down from South America? Everything’s going great here. I’ve been eating a lot. I gained a couple of pounds, but it’s all good. I’ve watched your presentation from Note CAMP 6. I loved it so much that we were talking about having you on first this year because it’s a great time. A lot of people are looking for assistance, trying to figure out how they can squeeze more out of their working part-time or how to help manage their issues. That’s always been one of the biggest things that we have struggled with. I’m not just saying we but we’re talking about a lot of us, those people that are on here struggling with systems. You’ve got something you’ve put together that’s going to add a lot of value. A lot of you already know me, a lot of you don’t. I’m JD Bates, I’m the Creator of NoteProz and the CEO of Five Sigma. We’re a technology and servicing company. We created NoteProz a few years ago because we started serving note investor people. We started doing websites and stuff like that. Then we saw an opportunity and we saw a niche that was growing. As soon as I was able to learn about what notes are and how they work, I not only fell in love with the idea of it, I also saw a great opportunity to create a servicing platform for you. One of the things that I am really passionate about is to create a system. Somebody told me not long ago, “Focus on your top line,” which are your people, your processes and your products, and the bottom line will follow. We’re passionate about creating systems so that the more you can automate, and you have a system in place for your business, the more you can grow. We created first NoteProz, which is a due diligence tool where you can input a bunch of addresses that you get on the tape. You get a bunch of data from the tape that would usually take you hours or days, you will only get it in ten seconds. We created this tool and then after we created that, we started working on an asset management system because the market was asking for something that is custom for note investors to be able to manage your investments and your investors in a single dashboard. We started working on this and we launched it on Note CAMP 6. We’re able to launch the Asset Manager. The Asset Manager is a custom CRM for you. One of the first things that we wanted to do is to create a white label solution for each one of you because this is not only a dashboard to manage your business, this is also a dashboard that can be white-labeled for your company, where you can get access to people in your team and to investors. That’s why we wanted to create a white label solution where you can add your logo, where each user will be identified. You will be welcomed once they come into the dashboard. CRM: Having a white label solution shows the people and investors you are dealing with that you can play at their level. 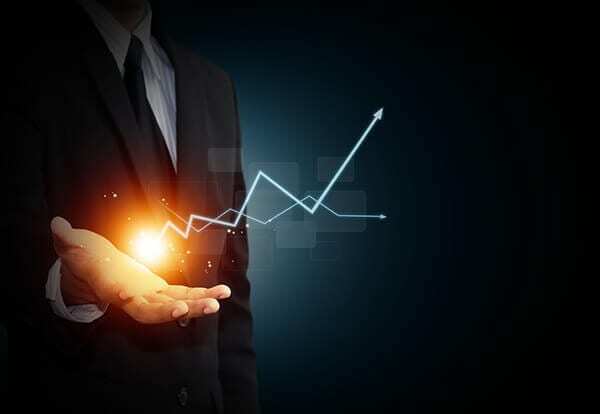 As soon as you come in, you are able to see all the data that you have regarding your notes: investor/investment, total investors/investments, total investment taking into consideration the investor and rolled profits, profits, average months invested which is a percentage of how much was invested or the amount of months invested by the investors. ROI with lender investments, total ROI lender plus rolled profits, analyze ROI, active notes and closed notes. Once you start inputting the data of your property or your notes, everything will be showing with pins. You will be able to see with the pins on the map where your notes are. You can have a history chart, how investments are going. We wanted to pack everything as soon as you come in on the dashboard where you can see everything that is most important for you to manage your portfolio. This is the dashboard. You’re going to be able to manage people on your team and to add people. If you have a team of people that are working with you, you’re able to add them and get them admin rights. If we go to Manage Investors, you can see a total list of investors that are working with you and then the amount loaned by each one of them, what is the status and when it was created. Then you can go ahead and edit. You can click Create on the top right. That’s where you create an investor. You put in the company name of that investor, the first and last name and all the details about that investor. You can also manage the JVs. Once you created investors, you can put them through several JVs. Not one investor or the amount that they loaned has to be confined to one deal. You can spread out the amount that an investor is putting in your company through different JVs. Then the software will tell you what are the notes and what are the investors that are on those active notes through the JV ID. You can see the total amount of loans, the dates that it was created, the profit and the ROI of that JV. This is pretty cool. If we click on your notes, you can see what are the notes that this JV is in. If we click on the active notes, we can see what are the active notes that this JV is in. If you click on docs, we will see it when you’re creating an asset, you can upload the documents related to that asset so everything will be on the system. If we go to manage assets, you can see the asset list that you have in your company. Again, you can see the docs related to those assets. If you click over in the top right, you can click on create. You can create an asset. You put in all the details, the property address, the property type. There’s a dropdown menu, multifamily, lot, land, commercial, all the different information that you can put in regarding the property. Asset status, no documents. You can upload the documents there. The monthly payments, lien position, tax status, rehab costs, we thought of everything that goes related when you create an asset and we put it. When you’re creating it, everything will be on the system. This is the admin section of the Asset Manager. This pipeline section is in development. We’re working on something similar to Pipedrive. This is something that we’re starting on development now. It should be ready soon. We should be able to have the first beta versions of this. Let’s go on financial. Financial can come here and add in the investor cash-in and cash-outs. You’re able to see the investor’s list by company and by name. If you click on the top and click Create, you can create the investor deposit cash or withdraw. You can put in the date, you can select the investor from the dropdown menu, select the amounts, the transaction type and the memo and then you can enter the transaction. All of this information that you’re entering into the platform, everything will go to reports that we’re going to see later. Everything connects. The entire platform does everything automatically. Everything that you do or everything that you have to do is enter the type of process that you need to do and then everything will be correlated on the reports automatically. You can create assets, income and expenses. You will have a list of the assets by ID, the amounts that they created, the company and everything else. If you click create, you can come to asset ID and you can assign a JV ID to it. What is the transaction type? Is this an income, an expense, an asset, a reserve? The date, the name, the amount, general ledger which you can put in on this section. Is this a general ledger, a loan payment, repairs and maintenance, a rehab, proper research, etc.? You can put in all of this expenses or income from assets, you can put them here and everything will correlate on the reports. Let’s go over in general ledger. It’s a list of the general ledger that you can put in and for you to be able to edit the general ledgers and for you to create a new general ledger. You just put the name and then click create. This is very easy to use. Everything that you have to do is start using it for you to be able to see how that correlates once you start using the platform. NoteProz, we wanted to create something that was very intuitive. We have seen some other platforms that have a bunch of data. They have a bunch of menus, a bunch of information that you don’t really know what it means. We like simplicity. We wanted to do something like this. Even with an Asset Manager like this, which are usually pretty complex, we wanted to create something that easy to use. Lastly, let’s go to reports. If you go to Investor’s Report, you can see the statement or statements of each investor. You can see what the cash balance is, the currently capital deployed and then all the data related to that investor. Total investor/investment and how much was the total investment, the profit, average months invested, the ROI, total ROI, analyzed ROI. All the information that you see on the dashboard as an overall, you can also see it for each investor. This is why this is so cool to have as a white label solution because if you’re dealing with people and investors that are already at another level, this allows you to show them that you can play at their level. The tagline of the CRM, of the Asset Manager is, “Manage your investments or your portfolio like a Fortune 500 company.” This is what we wanted to provide to you, a solution that will make you look like a super pro at a super low cost. This is something that we wanted to focus on. There are some tabs where you can see a portfolio statement. There are no closed investment or investor documents. We have nothing for that, mostly because a lot of this is demo data. This is it for the investor’s report or investors section of the investor report. You can also see how many JV groups this investor is in. If you go with the Investor’s Reports, if you click on JV Groups, you’re able to see how many JV groups this investor is in. If you click on it, you will see a full report in which all the JVs that this investor is in, again loan amount, percentage own, revenue, profit, ROI, the analyze ROI and the percentage of active assets, etc. We also wanted to add a little graphics because it’s easy to grasp. Let’s go back to investors. You can see how many assets the investor is in. If you click on the assets, we will show you what are the assets of this investor, etc. It will take you to the Asset page, but with that JV. This is it for investors. Let’s go to JVs. We have a list of the JV groups that we have. Then you can choose by investor and it will show you the same thing through the investor’s report. If we go to assets, we can see a list of all the assets and then what the status is of that asset, the address, the documents related to that asset, the loan amount, percentage owned, the revenue, expenses, the profit and ROI. This is very complete. Something that I really like is the cashflow reports. If you pull a JV, you can create a custom cashflow report. You can choose by investor, you can choose by assets, by the type, if we want to generate an income cashflow report and expense cashflow report. This section is cool because it’s very customizable and you can choose between dates to generate this report. This is one of the sections that I like because of the customization that it offers. This is it. I went through it fast because it’s so simple to use and for you to be able to read the information and to see the information that we’re presenting. All the help-to on how to do this, it might seem like, “There are so much data going on that I don’t know what to do,” but it’s really simple. If you click on features in how-to, you will download a PDF document that will show you all the features and all the how-tos of the platform where you can come in and know nothing about it and start playing with it. As soon as you start playing with it, you will be able to see everything that I taught you. It’s about entering data, entering information, and then the platform and the system will correlate all this data and give it all to you. I have a couple of questions. If I have an asset management CSV report, we download the payment report every month. Are we able to match that up and import that all at once for 120 assets or more? Do I have to import the financial one at a time? We still don’t have an import via CSV. That’s something that we thought about for people like you that have a lot of things going and just want to migrate to it. CRM: Be completely open to changes and work on that. This is great stuff here. This is awesome. It’s perfect. That’s just always the biggest thing that we’re doing. Let’s track down the individual assets with our couple of hundred assets from one servicer and then a report for another one trying to marry those up into our one CRM. That’s good that you mentioned that because we do have a function to export the financial data. We’re also working on an integration with QuickBooks because a lot of people have asked about that as well. We’re working on those two things and then also have the ability to bulk upload the assets. The QuickBooks integration is still not done. We’re working on it. You can call me anytime. I need to add a Contact Us button, like what we have on the NoteProz. Contact us and then we’ll get an email and then we’ll get back to you. I’m always available to you, guys. Scott sends me an email and then I got back to him within an hour. I believe that’s not a feature yet but I’m taking notes of all of this stuff. Piggybacking off my question on service report. From what JD is saying, we’ll need to match up the monthly data from the servicer and manually import one by one each asset data, is that correct? Yeah, right now it’s like that because it was just thought for people that wanted to start up from scratch. We definitely have to do create bulk uploads. I don’t think that’s going to be hard. I am pretty confident that we can do that soon. CRM: When you finally get a tape from an asset manager, the next thing that you have to do is your due diligence. It’s like matching fields at some point. Either low numbers or things like that you pull in there. Distressedpro is different than what this is. This is not Distressedpro. A question, “Is there any integration between Distressedpro or imports?” It’s not the same thing. Distressedpro pulls the numbers off of the FDIC quarterly reports with what Brecht Palombo does. That’s not a CRM tool. It sounds similar but we’re a bit fresher and a bit newer than that. This will create a report that you can send to a JV partner with the Report button on the left side, correct? Yes, all of these reports, you’re going to be able to export them and save them and send it to your JV partner or to your investors. That’s the idea of the platform, that you can look super professional. You’re saving contacts. Let’s talk a little about this because this CRM is great. Where can you put your contacts in here? Did I miss that? I’m not sure if I understand the question. What kind of contacts are you talking here? What I’m talking about is that you get your JV partners in here. Is there not a button to send a report and email it to your JV partner? No, we haven’t been able to create the email integration yet like Pipedrive where you can integrate your email from here and then send it directly from here to them. That’s a feature as well that we’re working on. We’re still developing the core of being a CRM. That’s why we’re calling an Asset Manager because a lot of the contact management and the email integration that a CRM has, we haven’t done that yet. That’s part of what we’re going to do on the pipeline module. We’re going to focus a lot more on being more CRM-oriented with all of these kinds of features, integrate your email, your contacts, etc. Is there a way to let your JV partners access the information? Did you make it separate or no? Yes, this is how it works. If you go to manage investors, you’re going to create an account for that. If you go and click create. After you create that, you can go ahead and send them to CRM.NoteProz.com. You can send them here and then you will be able to login to see their information. 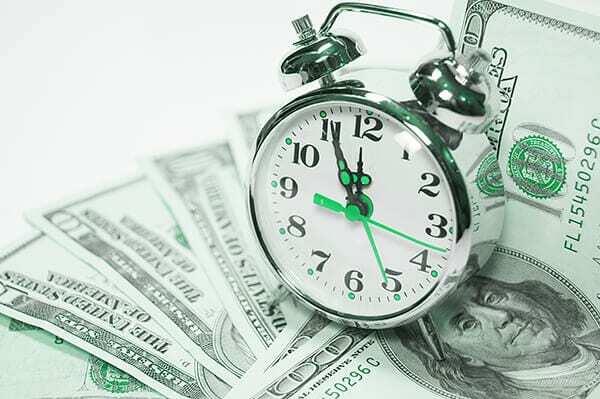 CRM: At the end of the day in business, time is money. You can see their accounts. That’s why we wanted to do that. We wanted to create a white-label type of thing. When you create an account that’s an admin, you’re able to add your logo here. When JVs or investors are coming into your platform, it looks like it’s here. We have a comment, “I love the graphics.” That’s good stuff there. Thank you, guys. This is fresh, just came out of the oven in November 2018. There are a ton of things that we still have to do. This is the first version of the Asset Manager. Please send me all of your feedback, your suggestions, your requests to JD@NoteProz.com. You can come to NoteProz.com and see all the features that we have. You can come in and login to the different platforms. You can sign up and you can contact us and then email us also at Info@NoteProz.com. Please let me know anything, any questions that you have, any feedback. We’ll make sure to put it on the to-do list. We’re well aware that there are tons of work that we need to do to make it better, to improve our product. I’m excited to do that. It’s pretty affordable. This is a second-level access to the NoteProz platform. The basic membership for the due diligence module as I call it is $27 a month. If you go to the NoteProz Asset Manager, you will have access to both the due diligence tool with NoteProz Basic plus the Asset Manager and the whole basic is $67 a month. I think it’s a very good price because for $67 you’re getting the two modules. If you guys want to sign up straight to the Asset Manager, you will have to first be a basic member. You have to register for basic and then register for the CRM. The system will guide you through and it will take you probably two minutes to sign up for both. It’s pretty easy to sign up to join. If they’re not an existing NoteProz client, go to the first one and get signed up to NoteProz Basic. Once they’ve gone through and completed that, then come back and hit NoteProz Asset Manager. If you’re already a Basic member, click continue to Pro. If you’re already a Basic member, you click here and if you’re starting from scratch, you click on here. We’re pretty excited about this. We’re hoping to offer some good value to you guys and my goal is to be able to offer assistance to you so you can grow. If your businesses grow, everybody wins. We’re hoping for this to find some use for everybody, for all of you. Have you made any adjustments to NoteProz lately? You’ve done a great job with NoteProz. There are a few people that are on here for the first time that don’t know what NoteProz is. Do you want to talk about that briefly? The first module of NoteProz that we launched in 2018 is a due diligence tool. When you finally get a tape from an asset manager, then you have to do your due diligence. That means doing hours or days of due diligence on a tape. What the Scraper does is you get a tape from the bank then you’ve got a bunch of addresses. All you have to do is input the addresses on the property data Scraper and hit analyze. Then we’re going to give you a bunch of data. Then you get a bunch of addresses. All you have to do with the basic module for the Scraper is take the address, the city and the states, and then come back and paste it. If you hit analyze, then we’re going to show you all of this data. We’re going to show you the address, the city, the state. We’re going to show you the number of bedrooms and bathrooms, the finished square feet, the estimated low value and high value. This is the data that we got from Zillow API. Zillow contacted me and said, “Are you using this for a tool or something? You might want to add our name in there, so you comply with our API policy.” I’m like, “Okay.” That’s why you will see Zestimate here. The low value to high value, when it was last sold. The last sold price, test assessment year, type of house you built, lot square footage, the crime data of the area. Sometimes you might not see it because it’s not available and probably the ones that I took don’t have, but we showed crime data of an area when it’s available, so you know if it is a good area or not, as an idea. It’s not a definitive thing but if you see there are a bunch of assaults, thefts and robbery, you might want to double check it. The rental value, if you click, you will see a map view of the property. Then if you like the property, you can go ahead and contact the realtor right away. Because sometimes you don’t invest in assets that are near you. You can go ahead and check. We give you a list of realtors. These are the people that you want to contact, and you might want to, or you will have to go ahead and pay them something to go ahead and check the asset that you are about to invest. We did all these things for you. All this process takes people hours. If you have 20, 30 or 40 of these, it will take you a long time to do this with the due diligence. This is not definitive data. It does definitely give you an idea of what are the assets that look good and which ones do not. At least you can filter the ones that you really want to do your due diligence on. It’s all about saving time. Time is money and that’s what NoteProz is all about. You can do your due diligence faster, manage your assets faster, and be more agile. The world nowadays, if you’re not digitalized, if you’re not automized and if you’re not doing decisions based on data and metrics, you are not doing it the way that the big one, the big people, the big competitors and some other people are doing it and then you’re just going to fall behind. That’s the biggest thing you see a lot of the smaller guys are getting squeezed out of the business because they don’t have the time. By the time they get around and making offers. All the good stuff is going because people are using systems like this to help them identify to get bids in. I can get bids-in in a few minutes of getting a tape in initially versus “I got to wait until this weekend and get bids. What time are you around this weekend? I may have already closed on the deal.” This is to help you out. I have to commend you, JD. When you first started NoteProz, you said to me, “I wasn’t happy with it.” We had a conversation. They all know this is your fourth, fifth revolution. I love it. That’s why it’s out here. I guarantee we got a lot of people that are on here, that use this on a regular basis, but absolutely love it and save a lot of time up there. If you’re a NoteProz user, feel free to say something out there. You know that JD is always willing to edit and change things and add things to it as best he can. To answer your question, Scott, we haven’t been able to update much the Property Scraper. I made a promise to you and to a lot of people that we have to improve this section because we have been focusing on the Asset Manager. After we get both of them tuned out, we definitely already have list of things that we want to be able to add into the Scraper and to keep improving the product, so you guys keep using it and find it useful. We have a question, “Does it show taxes?” That’s one thing. It does not show taxes. You’ll have to login and take a look at what taxes are owed at the county level. That’s hard data to get. That’s one thing that we did look into but it’s not easy to get with this bats that we send out and platforms that we connect. If you find out, if you guys send me a tip, we’ll check it out. This is one of the beautiful things. NoteProz is $27. You also get the Asset Managers lists that you’ve pulled as well. We do have an Asset Manager database. A lot of people have come in and said, “JD, how come I cannot download this on a bulk so I can bulk email them or sometimes I call and this person is not working here anymore?” Let me start from the beginning. We trained around two or three virtual assistants and we found out we did our homework which states had more assets to sell. We trained these people and then we had them call all these banks. That was hard to do because it’s hard to get through the gatekeepers. I’m sure you guys know, you’re cold calling the banks and cold calling the asset managers. It’s a hard thing to do. We had to learn and improve. We got good at it and then we were able to get a lot of information from a bunch of banks. For example, if you go to Florida banks, we’ve got information on asset managers on all of these banks. It still doesn’t stop people from leaving and changing jobs. At least you have a warm name if somebody has left. That’s the big thing, “I used to work with Martin Owen. He’s moved on. Do you know who’s replaced Mark?” Then move from there. I think it works best. A lot of people are just sending out emails. The best way for you to use this database is getting on the phone, “I used to work with Mark or a buddy of mine or I’ve got a contact from him to work with Mark. Is he there?” “No.” “Who is the person in charge of that now?” “It’s this person.” “Okay, great.” Now you’re connected with this. This is something that I should have added a while ago, is to add a button to put in feedback. If you guys call and you see, “This guy is not working here anymore. The person that is working here now is this person.” You can always use the Contact Us button to do that. I’m going to add a button here to do database feedback. If you do that and you find out that some of the names that we have are outdated and you find out the current person on this bank, please let us know because it’s not for us, it’s for the community. I don’t call the asset managers myself. This is for all the communities out there. If you found out, let us know, we’ll update the database so we can create a community thing regarding this section here. Once again, get that the Asset Managers Scraper and pull that. You get the NoteProz due diligence and then the third thing is the NoteProz Asset Manager software. We all know this should go a whole lot more, but since JD lives cheap in Costa Rica and now alone, he doesn’t have quite the overhead so he can offer up some of his amazing discounts. I’m in Argentina, but the thing is it’s cheap because we found a way to create this. I wasn’t saying that the value is not there. I never accused you of that. We always tried to give you guys the best price for these tools. This kind of tools can go for $100 a month. I hope you like both the product and the price. You think about this, Rentometer charges you monthly. You get more than $12 on their rent stuff. If you go to BatchGeo, if you’re mapping more than 200 at a time, it charges you monthly. There are a lot of things that are offered in what JD’s offering. You have NoteProz, the Asset Manager, the marketing side is for those that are looking for a little bit extra help with their marketing website, hosting, transfers and all great stuff out there as well. We started out providing this web presence and website services. We evolved into offering software. This is what we started to do on the note side, doing websites. Then we started doing social presence, web presence, internet presence. We have gone into being the IT or the digital department of your businesses. Anything that you need regarding digital, marketing, software, website or graphic design. If you get into one of these packages that we offer here, we become your IT department, your digital department to help you with all the things that you have to do in order to have an online presence. On YouTube, we’ve got questions, “Will the JVs only be able to see the deals they are attached to you?” That is correct. They’re not going to see everybody else’s deals. They will only see the ones that you give them access to. To get signed up, go to NoteProz.com and get the trial out there. It’s a three-day trial for $1. Is that correct, JD? If someone’s got a question again for you, what’s the best email? Go ahead to the NoteProz one, JD@NoteProz.com. Go there and go to the Contact button. Thank you so much for taking time on your busy schedule. I’m excited. Great scene of stuff. You’re doing a great job. Thank you so much. I’m super grateful for being here. Let me know if you have any questions or anything. I’m here for you. Check it out. Go to NoteProz.com for $1 three-day trial. Give it a try. If you have some questions and suggestions going through it, feel free to drop JD a comment or email him at NoteProz.com. Don’t forget to check out the latest episodes of the Note Closers Show Podcast along the way. Like it, subscribe, share it. Let’s see if we can get the word out and help more investors. Otherwise, have a great day. Next on the Note Night in America, one of the biggest things we’re going to focus on coming in is how to help you hit your goals. Many people posted on the WCN Crew and the 30-day goals for the mastermind, what they wanted to accomplish. Majority of those are, “I want to leave my job. I want to make $10,000, $5,000.” We’re going to spend some big chunks next episode. I’m helping you hit those goals. In what ways do you have to look at? How many offers do you get to make? Deep dive into your numbers next episode, so don’t miss out on the next Note Night in America. Enjoy the rest of your week. We’ll see you at the top. JD has climbed the corporate ladder as COO, PM, CMO and as well as a member of the Board of Directors with companies in the United States, Costa Rica, and Panama. Moved by his a passion for innovation led him to create FiveSigma Technologies. 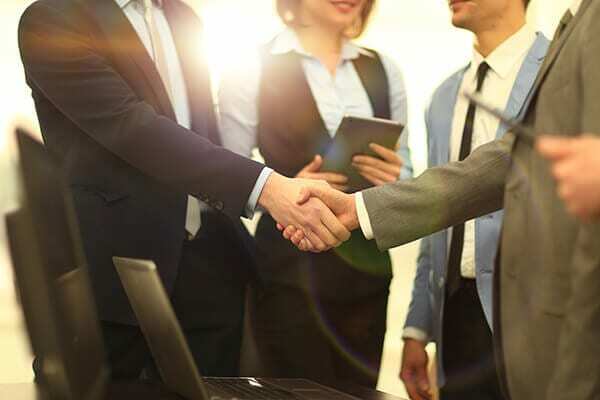 Now the company has grown to operate with offices around the world providing high-end digital optimization and software solutions to his company clients.